I’ve had a pair of shoes sitting at the studio for over a month now that I never fully loved and halfway meant to return. BUT I missed the return window and really did like the shape just not the all brown leather vibe, so I decided to give them a makeover. I turned them into DIY painters shoes and absolutely love ’em now! I wear them almost everyday and have gotten so many compliments. So, I wanted to share the tutorial with you (along with before photos and my picks for other shoes that would be perfect for this technique). Before I share the tutorial, I should probably mention that I fully realize that some people aren’t going to like this shoe makeover. 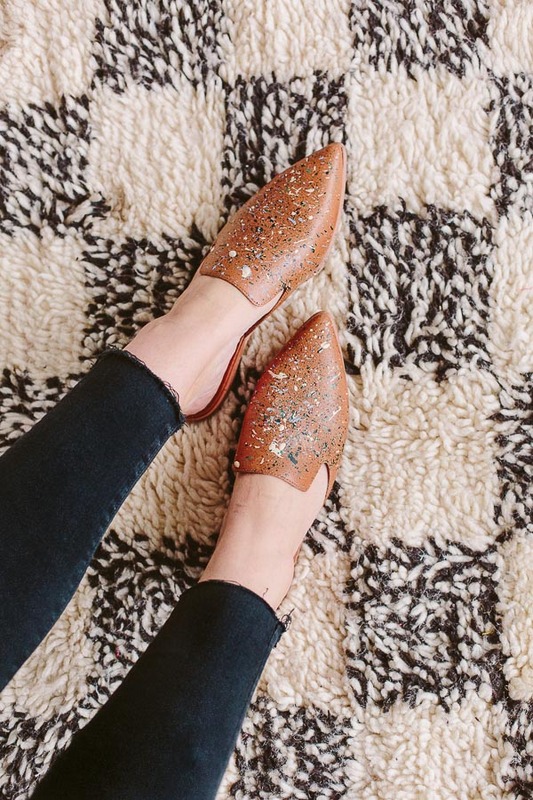 ‘Why’d you ruin a perfectly good pair of shoes, etc, etc.’ So, if you’re thinking that, no worries – I have a couple other shoe DIYs that you might like: how to dye leather shoes / color blocked shoe makeover (three ways). And I still love these regardless. Choose your color scheme (my favorite part)! I think I used 5 colors, but 3-5 is a good number. 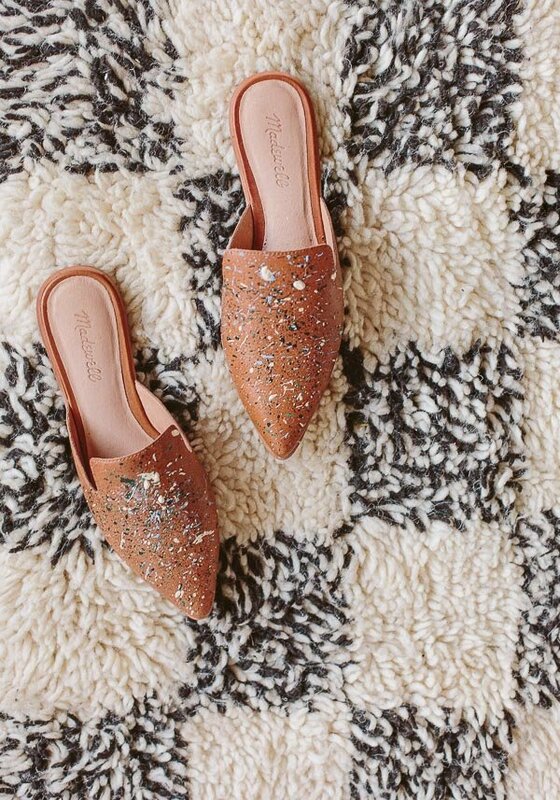 Just make sure that all of the colors work well together AND look good with the color of the shoe itself before you get started. Stuff shoes with newspaper or magazine pages to cover the open part of the shoe and any other area you don’t want to get paint. 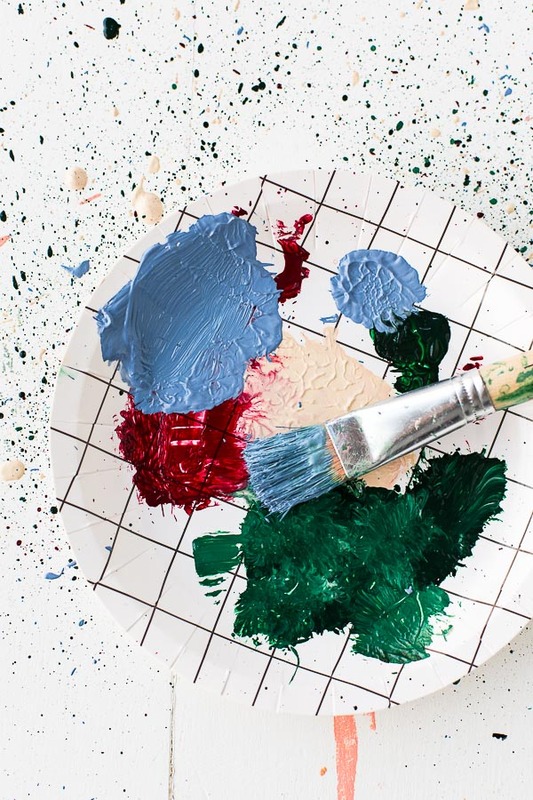 Next, add a small amount of each color onto a paper plate or paint palette. 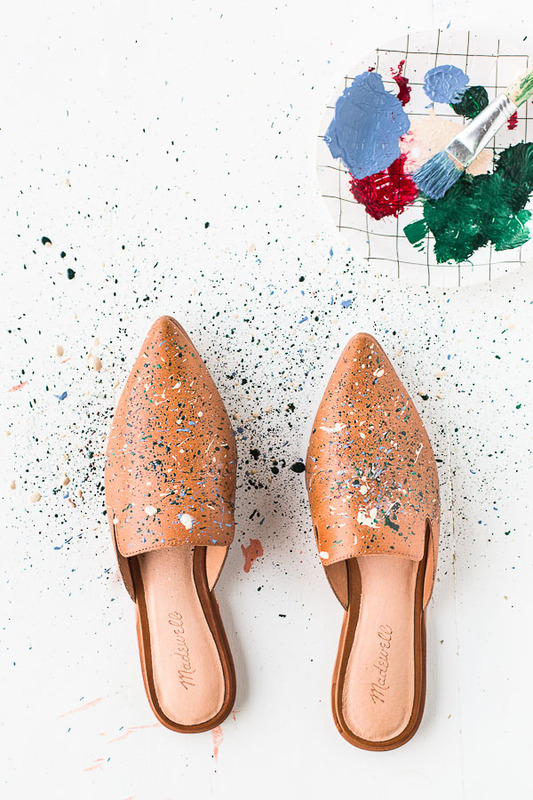 Dip a stiff paint brush into a color and then flick it with your fingers directly onto the shoes. The pattern you get from doing it this way look more organic / almost in the style of Pollock splatters as opposed to perfect paint drops. So keep that in mind. Once you’re done with that color, wash off the brush and pat dry. Then start with the next paint color. Repeat this process until you’ve gone through all of the paint colors. Then wait for the paint to completely dry. You can seal the paint if desired once dry (though I opted not to and my shoes have been totally fine – have worn them at least 10 times so far without any change to the paint at all). 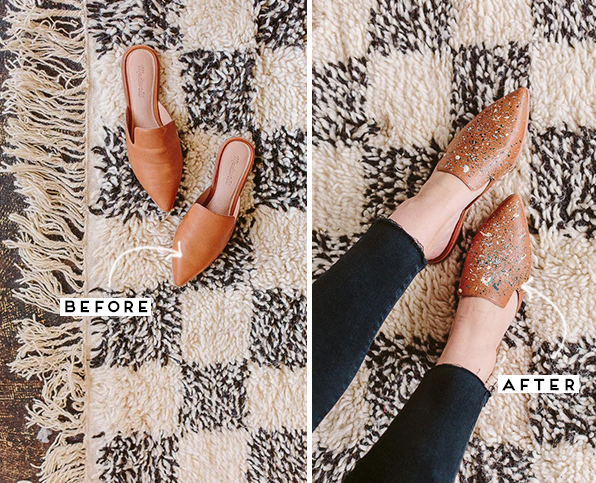 Think you’d ever give this DIY shoes makeover a try? Or are you in the ‘this is so not my thing’ camp on this one? It’s okay if you don’t love ’em. I won’t be offended, I promise. If I did want to use sealant, do you have a recommendation for what kind/brand? BTW, the paint splatter, while not my personal style, is super cute! I’ve seen some tutorials for doing an allover paint job on a pair of shoes, and I want to use that to make over a pair of red sneakers I only wore once for my Halloween costume…I don’t wear true red, and really want to paint them metallic gold! Hi Shannon. I don’t have a specific brand I use for leather sealing projects. 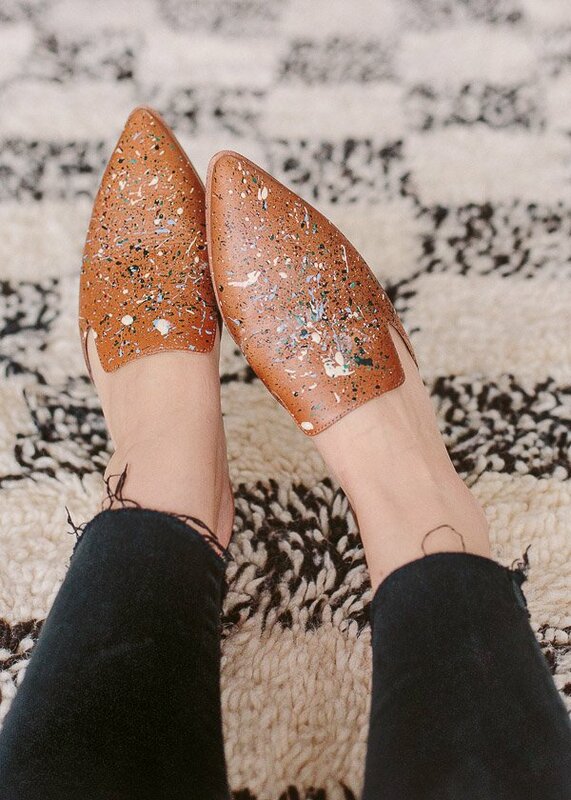 But if the shoes you are sealing are leather, I found one on Amazon that has good reviews: http://amzn.to/2izov7s (I haven’t used this one myself yet, but it looks like it would be a good option). 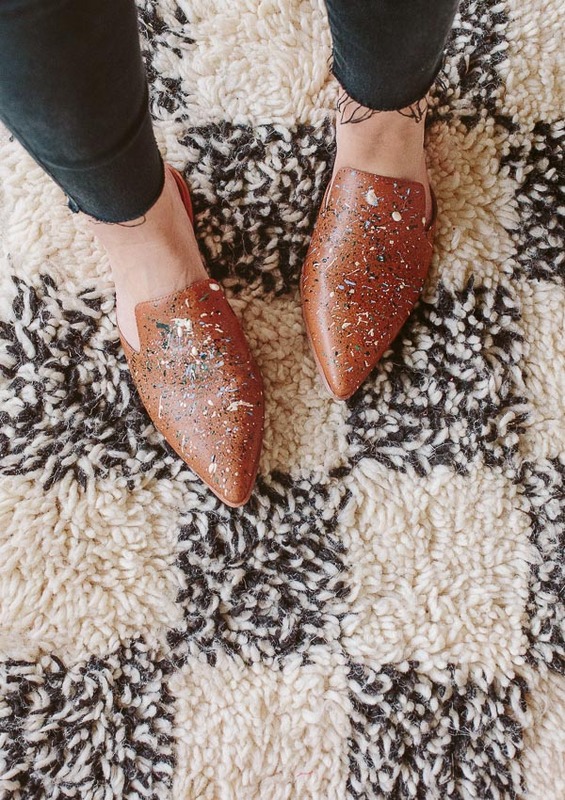 If the shoes aren’t leather, I would opt for a fabric sealer instead. Hope that helps! 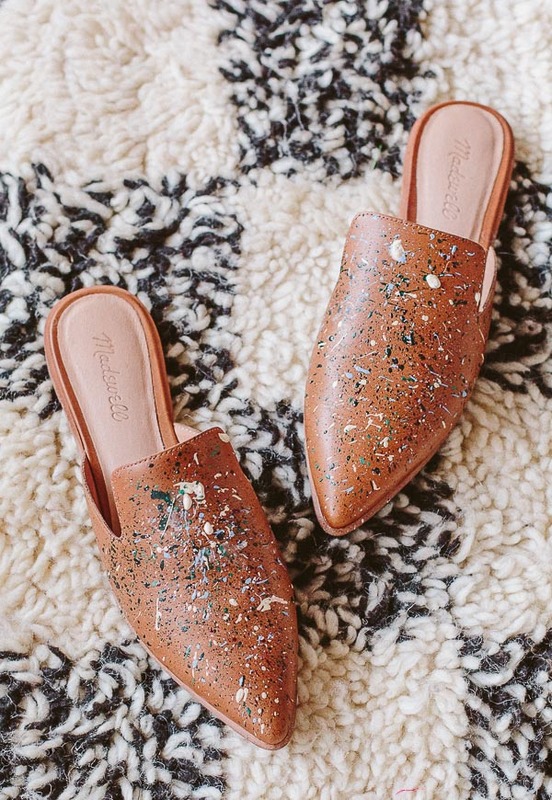 The shoes look sooo cool, but does the paint really stick to the surface of the shoe? What if it rains? This looks really amazing. I’ve been thinking on giving out some pairs that I haven’t been wearing. Thank you for giving me an idea. Looking forward to more. I love idea the shoes are beautiful!